Con vistas al mar y acceso directo a la mejor playa de Cairns - Trinity Beach. Hermoso apartamento de 3 dormitorios en la Costa Royale Resort. Disfrute de las vistas y sonidos desde el balcón con vistas a Trinity Beach El apartamento está situado justo enfrente de la playa de la Trinidad en el entresuelo. No voy a estar presente en el apartamento, pero puede ser contactado en cualquier momento y por los problemas que puedan surgir durante su estancia. Conservando una pequeña playa de la ciudad se sienten, sin embargo cerca de todas las comodidades, Trinity Beach es la plataforma de lanzamiento ideal para todo lo que la Costa de Coral y la Gran Barrera de Coral tienen que ofrecer. Hay numerosos autobuses para llegar desde el aeropuerto (20 minutos) y también para moverse por la zona para realizar excursiones, excursiones de un día, etc. This was the perfect apartment for our family of 5- 2 grandparents, son and daughter in law and 13 yr old grandson. The view from the veranda was an activity on its own. We appreciated the pool as a way to visit with locals and other travelers. The house was very clean and air conditioning kept us comfortable day and night. We walked to several cute restaurants in this quiet town but could drive into Cairns in about 20 minutes. Mathew was super helpful when our schedule changes unexpectedly. The Beach house is a great spot. We loved sitting on the porch looking out over the ocean. The place is spacious, clean and well stocked. Everything you need for a great vacation. The owner is very attentive and enjoyable to deal with. Excellent location that is right across the street from the beach and within walking distance of several great restaurants and the bus stop. The home was much larger than we expected and had a beautiful view from the patio. Mathew gave us lots of great information about how to get to the apartment and things to do while we were in Trinity Beach. We did run into a couple of issues during our stay including ants in the master bathroom and stains on some of the blankets on the beds, but all-in-all it was a great place to stay. Matthew the owner was great! We discovered his toaster didn’t work so sent him a message before leaving the condo for the day. Upon our return there was a brand new toaster there for us. He has a very simple but clean home. The beds are very comfortable- a must! Excellent location with great local restaurants within walking distance! 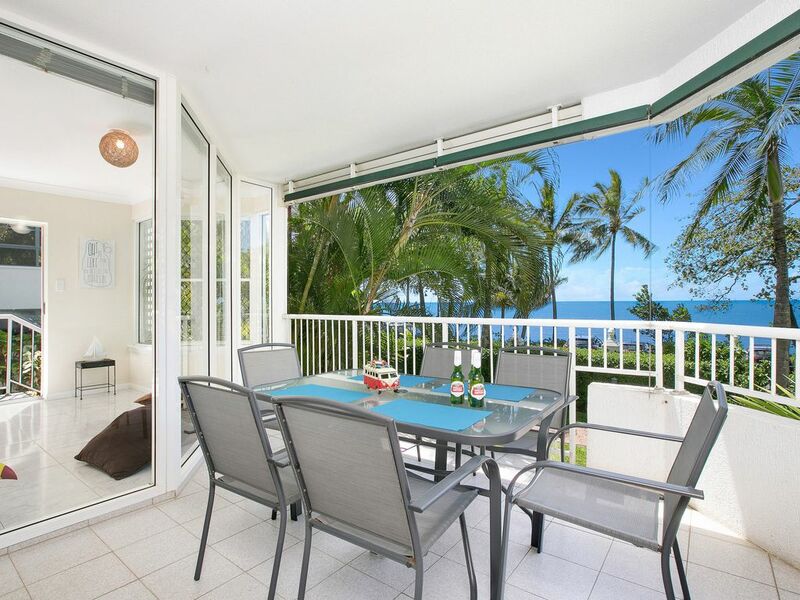 Terrific location away from the business of Cairns, however you will need to rent a car. Right on the beach where there is a "net" for swimming. We had a lovely stay and communication from Matthew was excellent.